Buy this beautiful hamper of Temptations, Toblerone, 2 Dairy Milk Silk, Snickers, Mars, Twix, Bounty..
Mother’s day is an annual celebration which is celebrated on different dates in different countries. In many countries it is celebrated on the 2nd Sunday of May and in some countries it is celebrated on the first week of March. Mother’s day celebrates motherhood and the influence of mothers in society. Mother’s day was started by Anna Jarvis in United States. She started her campaign to make mother’s day a recognized holiday in the United States in 1905. Her proposal was rejected by US congress in 1908. She continued her campaign and in 1911 US states observed this day as a local holiday. This holiday was adopted by other countries and now it is celebrated all over the world. Mother’s day is the best time for expressing your emotions towards your mother. Mother is the most special person is anyone’s life. She is the first teacher who forced you to do your homework. She taught you to walk and talk. Her sacrifices and nurturing has made you what you are today. You can make her feel special on this very special day with some mind blowing gifts. You can gift delicious chocolates to your mother as chocolates are relishes by everyone. Buy mothers day chocolates from IGP.com. This website is providing delicious chocolates for mothers day gifting. It is said that the taste of chocolate refreshes the mood. Delight your mom on this mother’s day with delightful chocolate gifts. Researchers have said that the chocolate contains the same chemical that our body releases when we fall in love. Chocolates are best stress buster also. Mothers day chocolates are available at GiftMyEmotions.com. This website has provided options for chocolates gifting on mother’s day. Options like chocolate mothers day gifts will provide you mouthwatering chocolates for gifting on this very special day. Order your mom’s favorite chocolate from this website and get your mothers day chocolate delivery from your desired place as worldwide delivery facility is provided by this website. Women love chocolates so you can go for chocolate gifts for mum. Heart shaped mother’s day chocolates and many special chocolate gift items are available at GiftMyEmotions.com gift store. Mother’s day is celebrated for mother and mother figures so you have to buy gifts for your mother figures too. 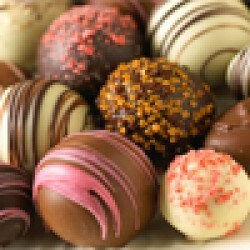 Buy chocolates for mom, mummy, mother in law from GiftMyEmotions.com as you can also send chocolates to mother, mom, mummy and mother-in-law from this website. GiftMyEmotions.com provides options for buying and sending of gifts. Flowers are also a nice gift for mother’s day. White carnations are very popular for mother’s day gifting. You can even buy mothers day flowers from GiftMyEmotions.com. This website is offering special mother’s day gifts including personalized gifts for mom. Let this mother’s day be the most amazing day for your mother with some mind blowing gifts & gift ideas for mother's day that GiftMyEmotions.com has to offer. GiftMyEmotions.com is India’s largest gifting portal that offers worldwide delivery of gifts. You can buy gifts for every occasion and gifts for everyone from this website. Same day delivery of gifts and products free shipping in India are some nice facilities provided by this website. Visit to GiftMyEmotions.com as this website provides one click solution for buying and sending of gifts.